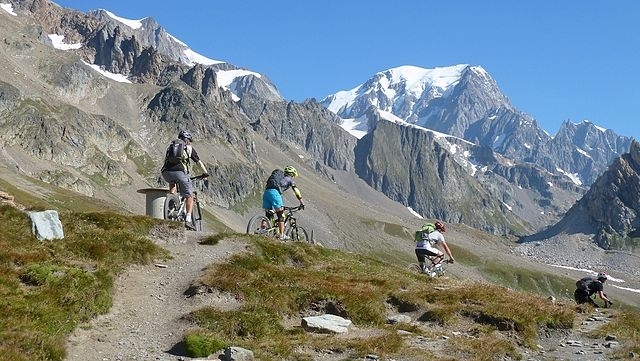 Mountain regions in France are improving their summer facilities in a bid to attract customers all year round, as the summer market is valued at over €5 billion. Mountainous areas more commonly associated with winter ski stations are now investing significantly in summertime offers and activities, to stretch out the holiday seasons as much as possible. Over 92 million overnight stays in these areas are now recorded during the summer, as the industry grows. Indeed, overnight stays in mountain regions during the summertime rose nationally year-on-year by 1.4% in July 2018, with the jump as high as 6% in the northern Alps region alone. These latest figures come from Charles-Ange Ginésy, mayor of Péone-Valberg (Alpes-Maritimes, Provence-Alpes-Côte d'Azur) and president of the 350-strong national mountain mayor association, l’Association Nationale des Maires des Stations de Montagne. One such example is Les Saisies, a mountain station in the Savoie, which has seen summer visitor numbers soar by 25% over the past few years. It has developed its VTT (mountain biking) routes and created a waterpark, as well as a “pumptrack” circuit, designed for mountain bikes and scooters. There is also a summertime sled run, as well as a bowling alley, and the ski lifts are now operating all year round, attracting hikers. Bruno Clément, director of tourism in Saisies, said: “We did not really have a choice [but to develop]. The winter season is not enough to keep people in employment and maintain activity levels.